The new year is a time of reflection; a ready-made reminder to us all that we should perhaps take stock of what’s happened and what will come next. And this makes it an excellent time to evaluate our insurance policies and make sure everything is on track going into 2018. David Macknin, president and CEO of the Chicago-based risk management firm Alper Services, says the new year is a good time to ask a very simple but profound question: What could possibly go wrong over the course of the coming year? RELATED: Are Package Thefts Covered by Insurance? As 2017 unfolds, here are some important tips from analysts and experts about how you should consider your home, auto, life and health insurance policies in the coming year. Michele Ross, a personal injury attorney who specializes in insurance, says the most common insurance pitfall for drivers is a combination of being underinsured and not understanding the coverage they’ve already purchased. In Ross’ home state of Florida, for example, drivers can meet the state-required auto insurance minimum with just $10,000 in personal injury protection and $10,000 in property damage coverage. But this doesn’t include any other critical considerations, such as uninsured/underinsured motorist coverage, rental reimbursement, medical payments, or bodily injury coverage, which compensates people you have negligently injured in your vehicle for their medical expenses, pain, and suffering. As the new year approaches, Ross suggests making sure you have the best insurance policy at the best price that includes adequate amounts of bodily injury coverage on your auto policy — the most you can afford without derailing your budget. Almost equally important is making sure you’ve got uninsured/underinsured motorist (UM) coverage. In most states it’s relatively inexpensive — somewhere in the neighborhood of $40 a year for $100,000 worth of coverage. As a way to possibly save money in 2017, you might also want to reconsider your auto insurance deductible, Macknin says. 1. What would it cost to rebuild? Macknin says too many homeowners only consider their home’s market value when buying a new insurance policy. What’s much more important is the actual replacement cost of your dwelling, which takes into account rebuilding, repairing or replacing the structure with brand new materials of comparable quality. 2. If I can’t live in my home, where will I stay? When reviewing your homeowners policy, Macknin says to make sure it includes Loss of Use coverage (also known as Additional Living Expenses coverage), which will be indispensible if you have to relocate for any period of time while your house is being rebuilt or repaired. 3. What would happen if someone was injured or killed on my property? It might seem like a grim consideration, but things happen to even the most well-intentioned homeowners, and you need to make sure you’re adequately prepared. The key here is making sure you’ve got no less than $1 million in third party liability protection. Macknin says homeowners often buy a policy with relatively low liability coverage, thinking it will save them money — but bumping it up is relatively inexpensive. For instance, if you only have $100,000 in liability coverage, Macknin says you could easily increase it to $1 million for less than $200 a year. CHECK OUT: How Much Can You Save by Raising Your Homeowners Deductible? Also, keep in mind that if you run a business from your home you may need insurance through a commercial policy, especially if you store inventory on site or have customers coming to your home to conduct business. Career and personal business coach Jeffrey Kelly says the single most important thing you can do to get in shape for 2017 is to stop procrastinating and purchase a life insurance policy. If you’re finally ready to buy life insurance for the new year, longtime broker Bob Littell says it’s important to consider two things. First, Littell says too many people purchase term life insurance — which pays only if death occurs during the term of the policy — with shorter durations than they should. 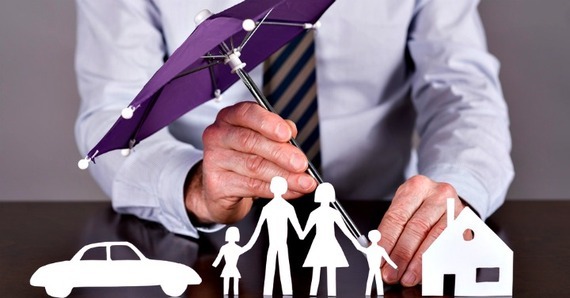 “In today’s economic climate life insurance should typically provide protection all the way into someone’s late 60s or early 70s,” Littell says. Secondly, Littell cautions against shopping only for the lowest price tag. • Have you experienced any major life changes that need to be reflected in the amount of coverage you have? This can include a change in your job, a new home (because now you’ll need mortgage protection), a new baby, a raise at work or a spouse who stopped working. • Raines says you should not only make sure you have the right amount of coverage, but also the right type. If you have term life insurance do you know when your term expires? Will your coverage continue with guaranteed level rates or will they adjust higher at some point in the near future? • Positive changes to your health in 2016 can have an impact on your life insurance moving forward. For instance, if you’ve lost weight, quit smoking, or are no longer in need of medications for blood pressure or cholesterol, you can ask for a new medical exam with your current provider or take a medical exam with a new company to see if they offer a more competitive rate. • Finally, if you have a permanent life insurance contact your agent or broker to make sure the policy is performing the way you expected. Will you need to start paying a higher premium in the future to keep the policy in force? What is the cash value amount? Today’s political climate has once again brought health insurance to the forefront of conversation, and the election of Donald Trump has raised a whole host of concerns surrounding the Affordable Care Act (ACA), which he vowed to repeal during his first 100 days in office. But despite the ACA’s uncertain fate, most Americans will not face significant changes to their health insurance in the immediate future, says Hector De La Torre, executive director of the Transamerica Center for Health Studies, a nonprofit that aims to educate and build awareness for health insurance and public policy. It’s always a smart idea to shop around for the most affordable health care policy, regardless of whether you qualify for federal subsidies. If you receive health insurance through your employer, it’s almost certain that contract is already in place for the entirety of the new year. You’re also not going to experience any significant changes in 2018 if you receive coverage through Medicare or Medicaid — with one possible exception.